This photo was passed to me by a former Hertfordshire colleague, retired Pc John Oliver. It was taken on 27/10/1956 and is Course 123, B Class. Instructors were Inspector Tucker, Oxford City, and Sergeant Forrest, City of London. 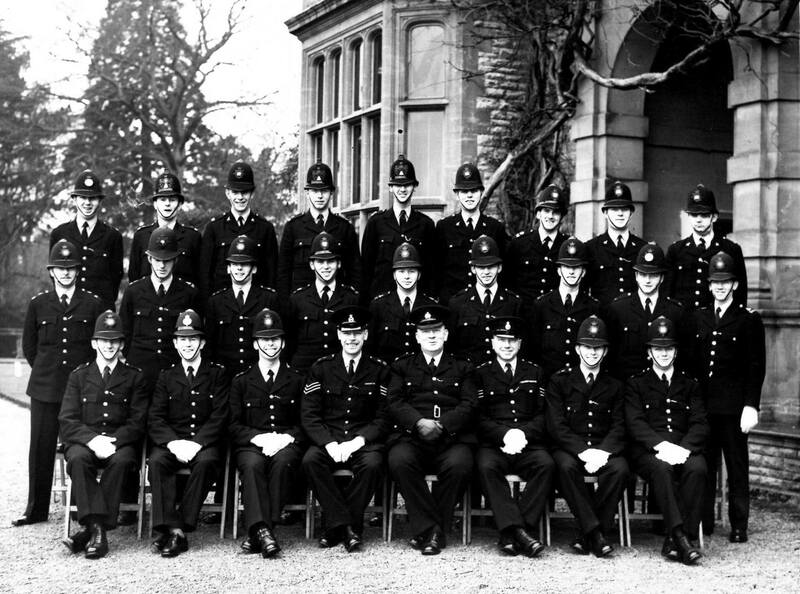 Hertfordshire officers in the back row were Woodall, 3rd from Left; John Oliver, 4th from right; Travis, 2nd from Right; and Steel, extreme right. This page was added on 02/09/2016.